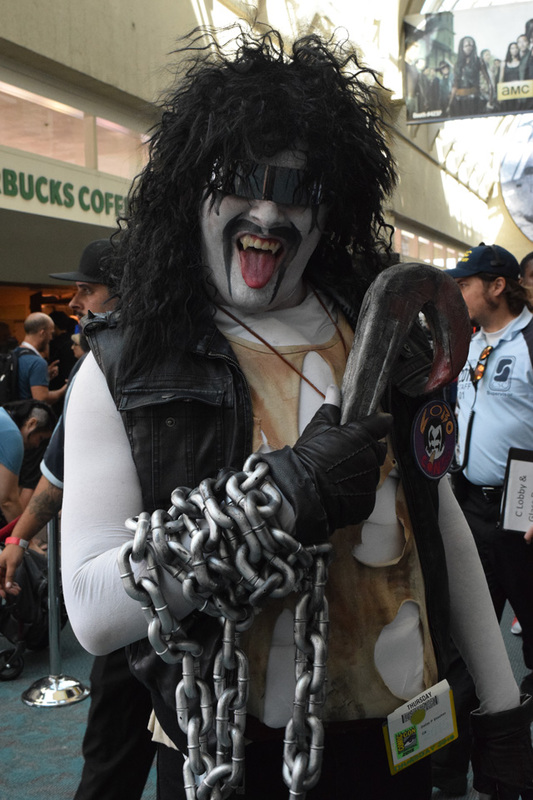 Con season is still in full swing, and while it has only been mere days since I traveled through the halls of the LA Convention Center delivering four days worth of cosplay, the time has come for the grand daddy of all pop culture conventions, San Diego Comic Con. One of the best things about cosplay at Comic Con is the sheer variety of the costumes. On day one alone, you had your fair assortment of all of the usual Batmans, Supermans, Harley Quinns, and so on, but then you'd also get cosplays from old childhood cartoons like Courage the Cowardly Dog or Xiaolin Showdown, beloved American TV shows like The Walking Dead and Breaking Bad, and every now and then the occasional Sailor Moon or Madoka Magica cosplay celebrating the world of anime. Comic Con is a magical place where all of these facets of nerd culture are all brought together for people to enjoy. Hopefully this cosplay gallery shows just a sliver of what that's like for some navigating through the halls of the San Diego Conventon Center.